"If you're not going to do the work, drop the class." Universal has released the first official trailer for the new comedy Night School, the latest from Girls Trip director Malcolm D. Lee. 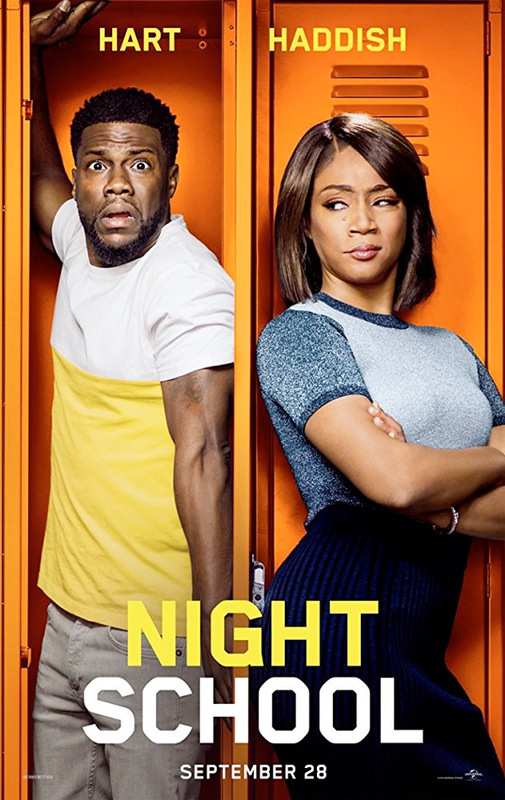 The comedy stars Kevin Hart and Tiffany Haddish, and is about a group of troublemakers who are forced to attend night school in hopes that they'll pass the GED exam to finish high school. Yeah, seriously. But it's the two big hit comedy actors of the moment - Kevin Hart and Tiffany Haddish - so of course it's going to be a riot! Right, right…? The full cast of Night School includes Keith David, Mary Lynn Rajskub, Rob Riggle, Taran Killam, and Romany Malco. Yes, I know this kind of comedy isn't for me, but man, this looks bad. Really bad. But maybe some folks will enjoy it? Who knows. You've been warned - you know what you're getting with this. Star Kevin Hart and producer Will Packer, who partnered for the hit Ride Along and Think Like a Man series, bring their signature style to Night School. The comedy from director Malcolm D. Lee (Girls Trip) follows a group of misfits who are forced to attend adult classes in the longshot chance they’ll pass the GED exam. Night School is directed by American filmmaker Malcolm D. Lee, of The Best Man, Undercover Brother, Roll Bounce, Welcome Home Roscoe Jenkins, Soul Men, Scary Movie 5, The Best Man Holiday, Barbershop: The Next Cut, and Girls Trip previously. The screenplay is written by Kevin Hart & Harry Ratchford & Joey Wells & Matt Kellard and Nicholas Stoller and John Hamburg. Universal Pictures will release Night School in theaters starting on September 28th later this fall. First impression? Anyone?